Medicare is vital for helping you pay for your healthcare needs in retirement, but it’s also a complicated program that has some traps for the unwary. Knowing how to navigate your Medicare benefits to get as much value as you can is essential. Below, we’ll give you some simple tips that you should keep in mind as you think about Medicare. Most people become eligible for Medicare when they turn 65, and the window for applying for Medicare comes in the period surrounding your 65th birthday. You can apply for Medicare starting three months before you turn 65, and you have until three months after that date to take advantage of the initial enrollment period. Signing up early ensures that your coverage will start immediately once you reach age 65. Waiting can cause delays in coverage. 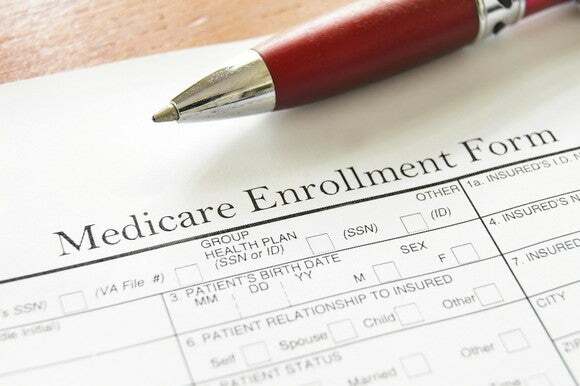 The reason why signing up for Medicare in a timely manner is important is that if you miss the initial enrollment period, then certain parts of the Medicare program can impose penalties. For the vast majority of Americans who have worked long enough to earn free Medicare Part A hospital insurance, there are no penalties associated with late filing. If you are one of the few who has to pay for Part A coverage, then a penalty of 10% of your monthly premium amount applies for twice the number of years that you waited before signing up. Penalties for other types of Medicare are more common. For Part B medical coverage, Medicare charges a 10% penalty for each 12-month period that you were late taking benefits. For instance, if you signed up for Part B three years late, you’d pay a 30% penalty. That penalty lasts for the rest of your lifetime. Similarly, Part D prescription drug coverage imposes penalties, although the calculation is more complex and involves taking a base rate and adding a 1% penalty surcharge for every month during which you didn’t have coverage. There’s an exception to the penalty rules listed above for those who have healthcare coverage from other sources, such as an employer group health plan. If you’re covered under your policy or your spouse’s policy, then you don’t have to enroll during the initial enrollment period. Instead, a special enrollment period applies when you lose your group health coverage. Penalties are typically measured from that date, allowing you to sign up in a timely fashion without incurring any extra charges. The question you have to answer about your existing coverage is whether Medicare is necessary or not. Federal law treats those who work for employers with 20 or more employees as being covered primarily by their group coverage and only then having Medicare kick in. For those with smaller employers that have fewer than 20 employees, Medicare is the primary payer, and your employer might require you to accept Medicare coverage in order to allow your employer’s private group health plan to take a secondary role. Be sure to talk with your employer or your spouse’s employer to get details about how Medicare coordinates with your coverage. Taking advantage of special enrollment periods for Medicare can be useful in reducing or eliminating any potential penalties. Should you get Medigap, or is there an advantage to Medicare Advantage? Medicare covers a lot, but it doesn’t cover everything. Medigap policies help give you protection from the common expenses that Medicare misses, such as copayments, deductibles, and coinsurance requirements. Medigap policies also typically have out-of-pocket maximums that limit your potential losses in a catastrophic situation, and that’s something that ordinary Medicare doesn’t do. Alternatively, you can choose a Medicare Advantage plan. These privately run plans are offered through health-insurance companies, and they offer the same benefits as traditional Medicare as well as some other ones that Medicare won’t. A Medicare Advantage plan has many of the same protections as a Medigap plan, such as out-of-pocket maximums. But because Medicare Advantage is less rigid than original Medicare, there are opportunities for innovative insurers to add on valuable benefits. In particular, features like lower copayment amounts can be appealing to Medicare Advantage participants. Checking out Medicare Advantage plans is a smart way to consider all your options. Medicare can help you a lot, but only if you know enough to get what you deserve. Ensuring a full understanding of the healthcare program can result in extensive savings over the course of your retirement.